Our next meeting will be on Tuesday, April 16th, 2019 7 PM at the Keizer City Hall. Arrive a few minutes early to get your raffle tickets. Everyone is welcome. We meet at Keizer City Hall. Get there early to buy raffle tickets for gear and trips. Meetings start at 7 PM on the 3rd Tuesday of the month (no meetings in the summer). 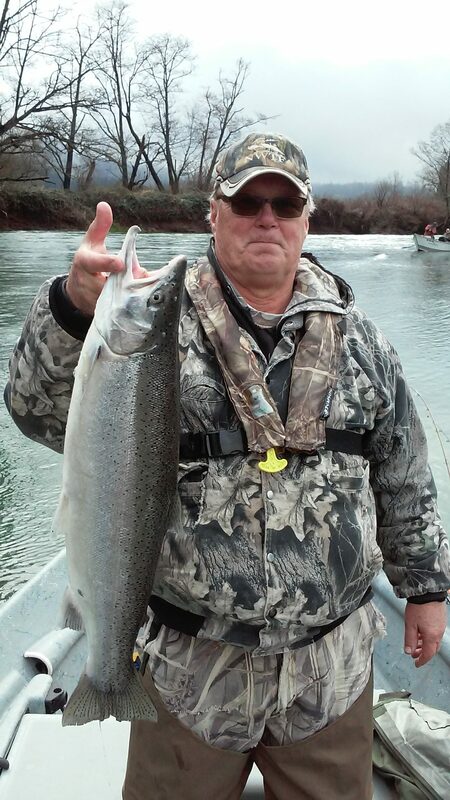 Welcome to the Salem, Oregon Chapter of the Association of Northwest Steelheaders! 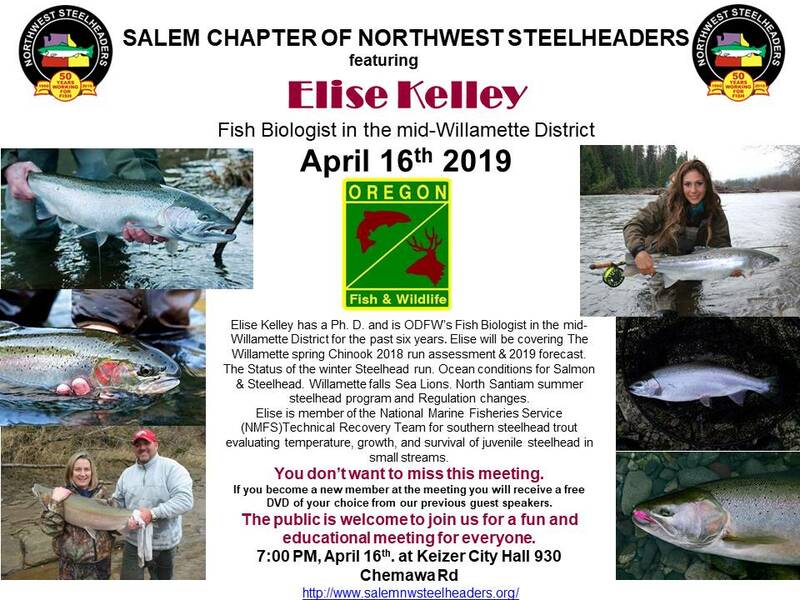 The Salem Chapter of the Northwest Steelheaders are a group of dedicated anglers who strongly believe that the resource and the environment in which we enjoy our resource needs to be taken care of in order for future generations to be able to enjoy it as we have. As a Cha pter we have undertaken numerous projects to address environmental issues such as riverbank pollution, erosion, and invasive species removal. We have adopted two parks along our home river the North Santiam – Minto Park and North Santiam State Park – and perform cleanup, trail maintenance, and improvements on those parks to continue to ensure access for the fishing public. Members of our Chapter also work hand in hand with ODFW in order to restore and reinvigorate our local fisheries. 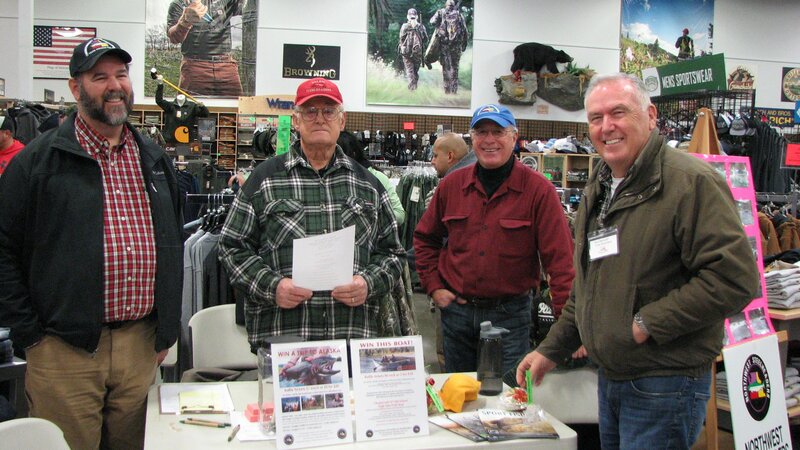 In addition, Salem Chapter Members represent some of the most knowledgeable individuals in the area on the North Santiam and Nestucca rivers systems, with many our members having decades of experience fishing both of these rivers. The passing on of knowledge from one generation to the next is an important facet of our Chapter. Come check us out. We’d love to meet you.